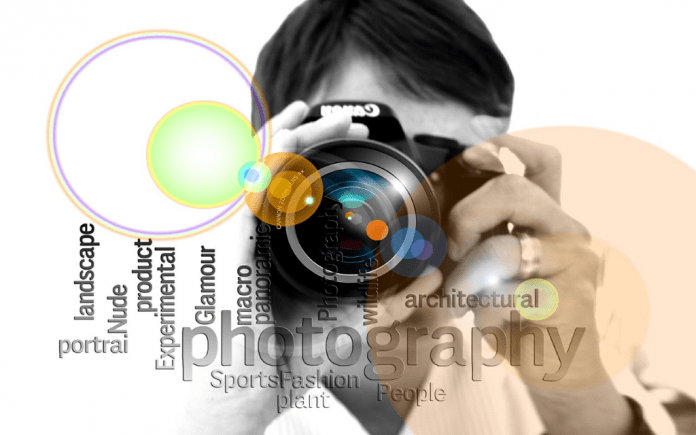 If you are relatively new to photography, you may still think about it as your hobby. However, if you’re good at it, and if you’re investing a lot of time learning new tricks, you may find yourself thinking about turning it into your job. As any other business, photography also abides by certain rules, and as in any other business, mistakes are possible and often occur. As a new entrepreneur, you should strive to avoid as much of them as possible. This article will present 5 most common mistakes that are made in photography business for all of you who are interested in making their passion for photography their job. This is one of the most common mistake new entrepreneurs make. The logic behind it is valid – you want to be competitive in the market, and as a new business you need to find a way to attract your clients. Unfortunately, working for free will not attract customers. It will only degrade your work and your time, since people tend to give more value to the work they pay for. So, when clients book a session, don’t give them photos and images on disc for free. Instead, offer a time-limited discount on sessions, or free group photo and a discount on the disc. Make sure you are clear on how long discounts last and under which conditions. It is a good idea to show your clients both the regular prices and lowered ones. Your clients should know your regular prices, even if you’re giving them discount the first time. That way you will set their expectations regarding your pricing, and they won’t be surprised if they decide to hire you again. Another negative consequence of undercharging is that it will be harder to raise your prices later. It is okay if you are willing to work more for less at the beginning, but your business will not last this way. Calculate all your expenses and how much time you invest before you fix your prices. Not having a business plan is the second common mistake people make. This goes for all businesses, not just photography. In order to succeed, you have to devise a strategy, otherwise you are leaving everything to a chance. Business plan is important because it sets out your goal more clearly. Even if you are one-man business, when you have a clear goal it is easier to communicate it to others, including your potential clients. Secondly, if you plan to get a loan, you will need a business plan. Your business needs to grow, and you cannot always rely solely on your income, especially in cases when your a job requires large investments in new camera accessories. Another mistake you can make is not thinking about your image. When looking for a photographer, most people will check the Internet. Apart from your portfolio, which is of course very important, it is crucial that you have reviews on your site as well. Surveys have shown that these two factors influence decisions of potential clients. Don’t be afraid to ask your satisfied clients to give your reviews. Many of them will be willing to so, but most of them will not remember to do it by themselves. Therefore, if you have returning clients, ask them to write two sentences about what they like you and your work. It will pay off. Although flash websites offer great effects in which to present your photos, and although many photographers used them, try to avoid them. There are several reasons for this, the most prominent one being the fact that these sites don’t work well on mobile devices. Since more and more people use their smartphones and tablets to connect to the Internet and buy online, you will lose a large portion of potential clients if they can’t reach you there. Secondly, flash websites are harder to update and manage. In era when an average person can make their own web presentation, it is nonsensical to spend too much time on something as simple as changing text or adding a photo, or to hire someone to do this. In order to attract clients, you will need to post your best photos online, either on your website or social media profiles (preferably, you will use both). However, today it is very easy to download photos from the Internet, and someone can use your photos without giving you credit. Placing a watermark on your photo won’t prevent it from being stolen, but at least you will get the credit. If you place your logo, name or URL on the photos, people will know who made them, no matter where they appear. It should be stressed again – photography is a business, like any other. If you decide to make a living out of it, you have to be savvy and inform yourself. Try to avoid common mistakes, and be prepared to learn about business planning and marketing. For a successful photography business it not enough to be just a good photographer, you’ll have to be a good entrepreneur, too.